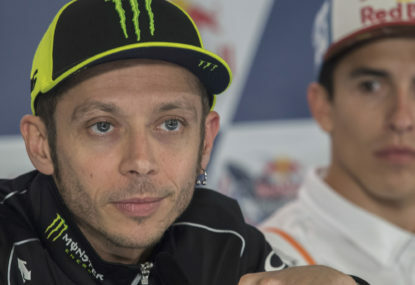 Phillip Island was the venue that the field completed their pre-season testing at and was always going to be a more representative look at the state of play, since the changes applied from the centre of gravity test. From the continual form slump of the seven-time Supercars champion to the continual rise of form from the Kellys at this venue, here are the talking points from the Phillip Island SuperSprint. The reigning Supercars champion demonstrated once again why he is the King of Phillip Island, as the Ford driver notched up his seventh win of the season and seventh at the prestigious venue during Saturday’s Race 9. 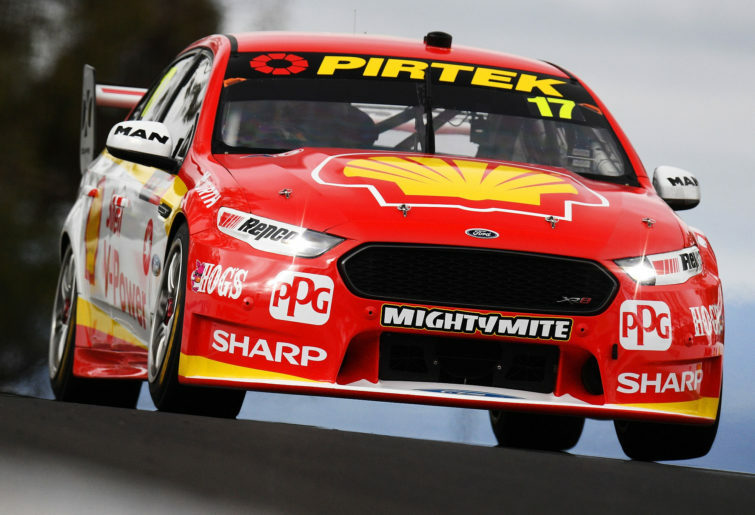 Scott McLaughlin claimed pole position by a mighty six-tenths over his Shell V-Power team-mate Fabian Coulthard, who also came home to complete a one-two finish for the Ford team during the 27-lap Saturday race. Such was the confidence of McLaughlin that he was out of his Mustang with minutes to spare during qualifying for Race 10 as he had already sealed out his tenth pole at the venue and an eighth consecutive. 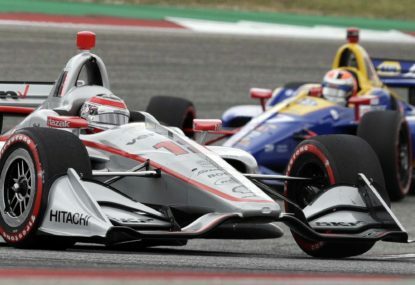 A solid start in the 45-lap Sunday race saw the 25-year old lead away into the opening round of pit stops, where a miscalculation in pit lane transit time saw the top spot conceded and McLaughlin on the back foot. 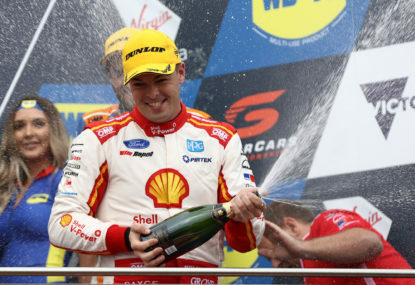 Following the second stops, McLaughlin was indeed behind team-mate Coulthard and ultimately was unable to challenge, as the championship leader brought his Shell V-Power Mustang home in second, capping off another stellar weekend. McLaughlin still continues to lead the championship over Coulthard, with the advantage now 124-points going into the next round in Perth. 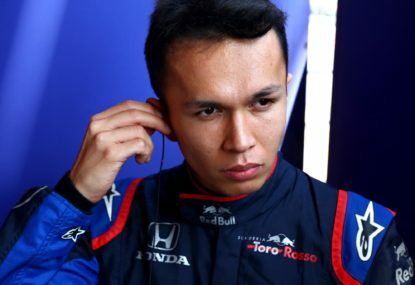 Having shown plenty of potential in the short time that he has been in the Supercars championship, young Anton de Pasquale has finally broken through for a spot on the podium. A season-best qualifying of fourth for Race 10 saw the 23-year-old get a strong getaway off the line in the Penrite Commodore, ahead of Chaz Mostert who had started from third. With a threat from the Tickford cars of Will Davison and an on-track skirmish with Cameron Waters during the race, Erebus got the better of their competition in the pit stops and put De Pasquale on the better strategy for the podium. There was a question mark over fuel at the end of the race, however it was enough for the youngster to bring the car home in third and take the honours of the best Holden driver in the Sunday race. Third vindicates the speed shown by De Pasquale since his debut in 2018 for the Erebus team, where he has been strong in qualifying on many occasions, including the Bathurst 1000 top-ten shootout where he was third fastest. Getting the job done in a race situation has been De Pasquale’s Achilles heel, including last time out in Tasmania where a season best result of seventh had gone begging due to a mechanical problem. However, with the monkey off the back, more promising results await Erebus and their young driver. 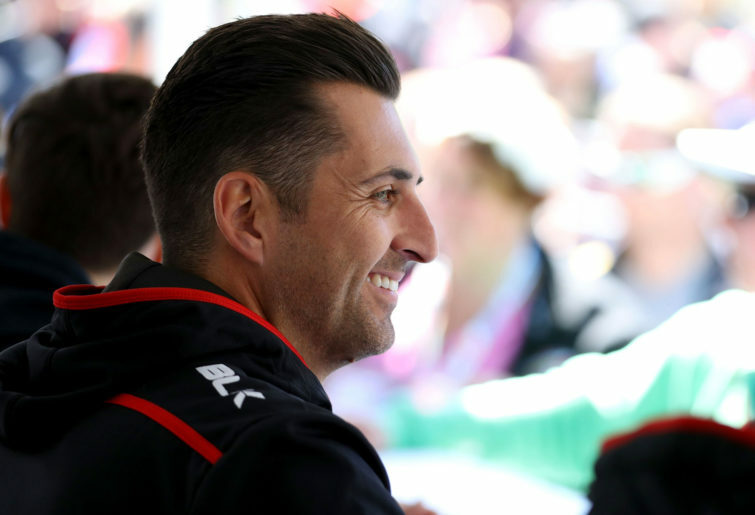 After a difficult 2018, Fabian Coulthard has had a strong start to the new season with a flurry of podiums and is sitting second in the championship, behind his team-mate and the reigning Supercars champion. Victory in Race 10 for the Kiwi veteran has solidified his start to the year and also snaps a drought of wins dating back to his dominant victory in Winton almost 12 months ago, which was also his only win in 2018. Even though McLaughlin got the better start, it was Coulthard and his side of the Shell V-Power garage that got the better of his team-mate during the pit stops, which left even Coulthard himself shocked. 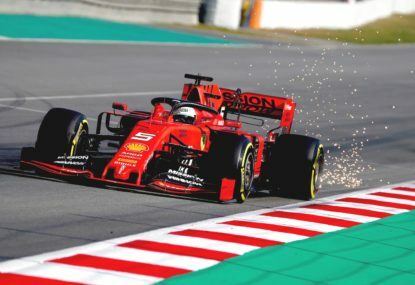 “I’m not sure what happened to Scott on one of his out-laps, because I was expecting a red car to go blowing past,” the Kiwi remarked post-race. The pace of the Shell V-Power Mustang meant that Coulthard was able to keep his team-mate behind and complete another one-two finish. 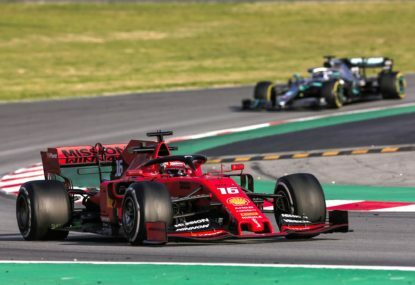 The result also means Coulthard is the most consistent driver behind McLaughlin so far in 2019. Whether it is a metaphor for Jamie Whincup’s championship challenge for 2019 or not, the former Supercars champion’s horror run continues with DNF result during Race 9, due to a wheel falling off his Red Bull Holden. After qualifying seventeenth for Race 9, Whincup was already way down in the order during the race and matters were made worse on Lap-14, when following his pit stop the front-right wheel detached itself from the Commodore. This dropped Whincup from third in the championship to seventh, with now a 310-point deficit to McLaughlin, as the woes continued for Triple Eight as a whole. Having had to contest Q1 for Race 10 qualifying, both Whincup and team-mate Shane van Gisbergen did manage to qualify inside the top ten for the Sunday race, with seventh and sixth respectively for the Red Bulls. Only Van Gisbergen achieved a top ten finish in the 45-lap Sunday race, whilst Whincup in 12th could not match the pace of David Reynolds and the BJR duo of Tim Slade and Nick Percat ahead. From seventh in the standings, Whincup fell a further two positions to ninth and is a massive 379 points adrift now from the top of the table, which now even his Enduro co-driver Craig Lowndes believes is a tall order to overhaul. Backing up from their form 12 months ago, where Rick Kelly bagged a pair of podiums, the Kelly Racing squad were once again strong at Phillip Island with another podium result yielded for the four-car team. Fourth and sixth were season-best qualifying results for Andre Heimgartner and Kelly respectively ahead of Race 9, before the pair were seen on-track wrestling for position after the first round of stops, ultimately for what was going to be a place on the podium. In the end, it was young Kiwi Heimgartner who clinched his maiden Supercars podium as a solo driver, while Kelly in the Castrol Altima finished a solid seventh to have two of their cars inside the top ten. Unfortunately, the pair were eliminated in Q2 ahead of the Sunday race, with Kelly qualifying 11th and Heimgartner in 13th. Only Kelly was able to break through into the top ten in the 45-lapper, finishing eighth ahead of the warring pair of BJR cars.